It’s only October, but companies have already begun listing their promotions and discounts in lieu of upcoming Black Friday festivities. As someone who understood the power of Black Friday sales only after I came to college in 2014, I found it ironic that people spent money on materialistic things, and sometimes unnecessary items, the day after giving thanks. I agree that it’s a bit hypocritical of me to make my statement given that I take advantage of online Black Friday deals just as much as the next person, but I’m becoming aware of the consumerism promoted by such a holiday. America’s largest shopping mall, Mall of America, seemingly agrees with me, too. T.J. Maxx, Patagonia, IKEA and Neiman Marcus will also close on Thanksgiving Day. PHOTO VIA FLICKR USER AINE. 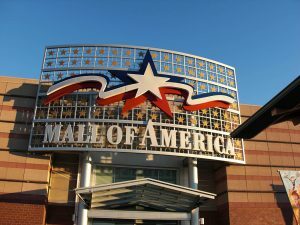 Mall of America declared its decision to remain closed on Thanksgiving Day, choosing to open at 5:00 a.m. the next day. While this may not seem like much, it’s important to know that dedicated shoppers have been lining up at malls as early as the night before stores open, thus forgoing spending quality time with their families for Thanksgiving. Stores have taken advantage of people’s tendency to put Thanksgiving on the back burner by pushing shopping hours back into Thursday. When people begin to value a 50 percent off discount on a vegetable steamer over their family, it’s time to reevaluate and step back. Mall of America isn’t alone in their decision to remain closed on Thanksgiving Day. Fan favorites such as Patagonia, T.J. Maxx, IKEA and Neiman Marcus among others have made the bold move, too. This decision may seem harmful for these companies, but I wouldn’t take it as true. By making such a decision, these companies are encouraging customers to relinquish consumerism, and instead relish in the company of family and friends. By sticking to such an ideal, they are more likely to expect a rise in sales on Black Friday itself. Furthermore, it’s a known fact that retail employees bear the brunt of the chaos brought by Black Friday. Choosing to remain closed on Thanksgiving lets these employees be with their close ones during this special holiday. Even if these workers have to show up to stores early the next day, it’s better than giving up roasted turkey for crazed hoards of shoppers. Ultimately, companies will continue to use Black Friday to boost their sales, and I wouldn’t blame them. With the rising demand for products and the ridiculously attractive offers provided by businesses, it’s unlikely that stocking up on Black Friday will ever cease to exist. It’s just good that more businesses are understanding the consequences of their decision to slash prices and are encouraging customers to value family time over waiting times.